When talking about woman’s wedding rings, there are tons of different designs out there, but getting married is not only about one person, so the groom should also be taken good care of. It is very important to pick a suitable men’s wedding band for the groom since he has to wear it for the decades to come. There are actually quite many choices you may have. To start, you should know exactly what kind of personality your partner has. If he prefers flashy, then a little bling will be good for him. Instead, if he keeps a low profile, then something plain will be perfect. Materials, colors, styles and also designs matter a lot when making a final decision. Today we are going to give you some ideas about the color of the men’s wedding band. There are many colors available, including silver, gold, black, and so on. Among all these colors, there is one color that is really special—-black. 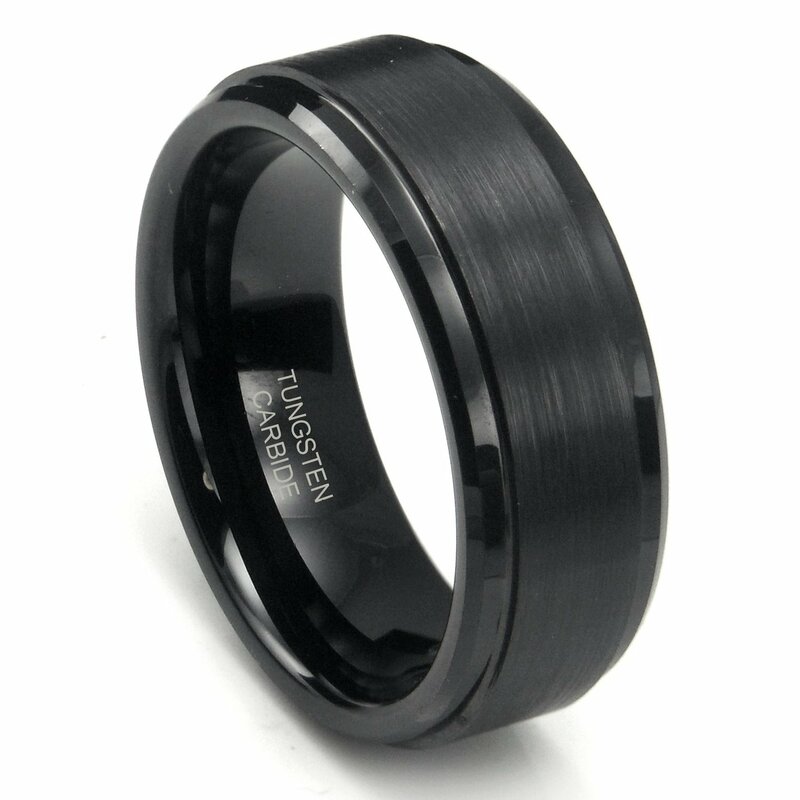 Below are some gorgeous black men’s wedding band options that may give you a hint about what to choose.